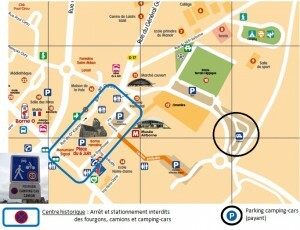 Car park in front of the arcades is a blue zone, where maximum 1h30 parking is allowed. Close-by, you will find other free parkings. 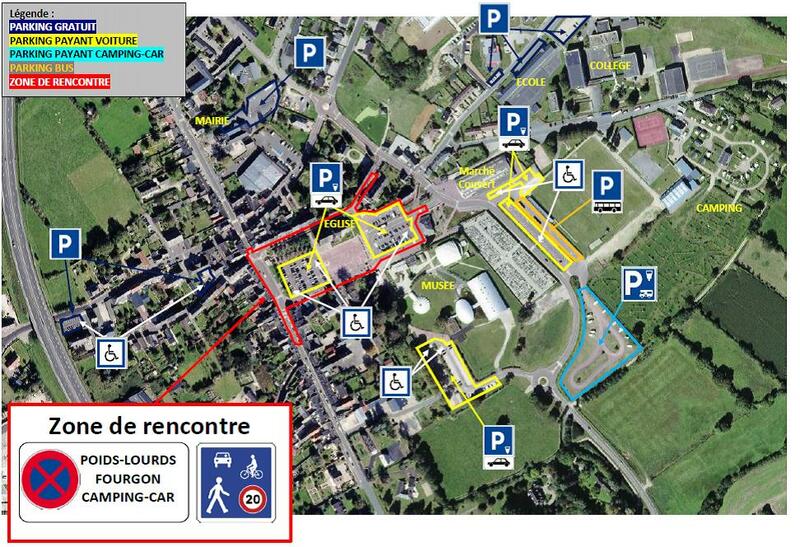 Car parks around the church and behind the Airborne Museum have a fee: 2 €/day from 9 a.m. to 6 p.m.
10 minute-Parkings are situated close to the shops. A special zone, with a 20 km/h limitation allows pedestrians to walk around the church’ square and the street surrounding it. Next to the hall market, close to the bus park, (2 €/day, 8€/night) – parking only, no service. Pedestrian access through the car park behind the Airborne Museum. 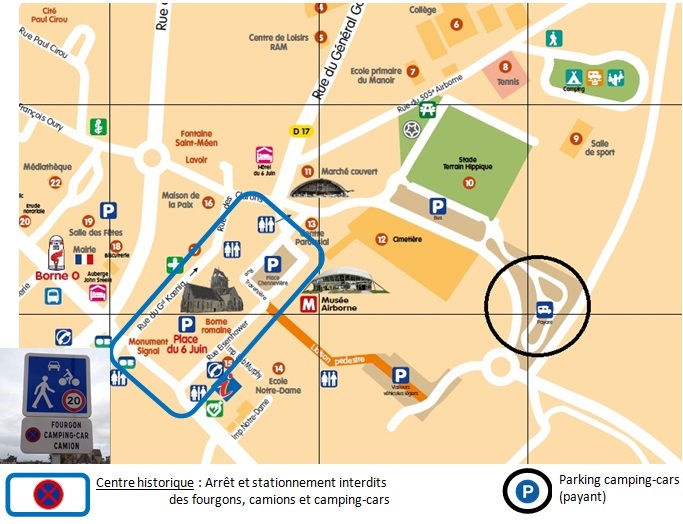 The parking of vans, camper and truck is prohibited in the historic area of Sainte-Mère-Eglise (meeting area) provided by the municipal by-law n ° 0024/2015 / PM / SME of 21/04/2015. The signage is perfectly visible at the entrance to the meeting area. In case of non-compliance, the fine is 35 €. The meeting area covers the historic area, which is a perimeter between Eisenhower Street, General de Gaulle Street and Koenig Street.